Arrowwood Lodge at Brainerd Lakes is open 24 hours a day, 365 days of the year for your enjoyment! We are located on Hwy 371 north in Baxter, behind The Boulder Tap on the west side of the highway. Approximately 2 miles north of the intersection of Hwy 210. 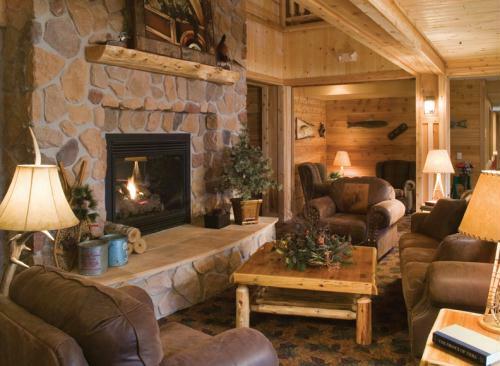 Arrowwood Lodge at Brained Lakes offers a natural, rustic style hotel with the cozy warmth of natural wood, and stone fireplaces. 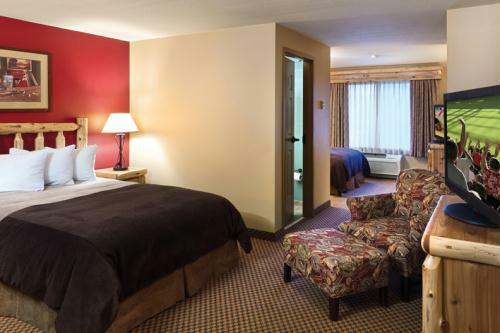 All 102 rooms and suites are oversized, comfortably furnished, equipped with refrigerators, microwaves, coffee makers, hair dryers, iron/ironing board and free wireless internet service. 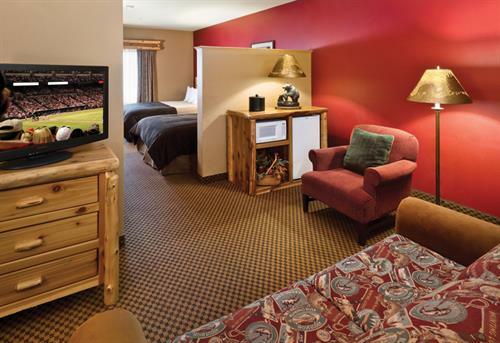 Most rooms also have hide-a-bed sofas and two flat screen televisions! Hotel offers an onsite fitness center with gym-quality equipment. The whole family will enjoy the 30,000 sq. foot indoor ''Paul Bunyan Water Park'' at Arrowwood Lodge at Brainerd Lakes. And, if jetsetting down a 45-foot tower of water isn't your cup of tea, the water park also features a variety of areas that make a less dramatic splash, including: zero-depth entry pool with Paul's Treehouse play area; lazy river, basketball hoops, water walk, and indoor/outdoor hot tub. Large mezzanine level with plenty of seating & private party rooms. Snack bar for food/snack items as well as soft drinks and beer. Plus a 2,400 square foot video arcade room. Featuring 7,500 square feet of flexible meeting/banquet space - most of which have windows overlooking our beautiful courtyard area. 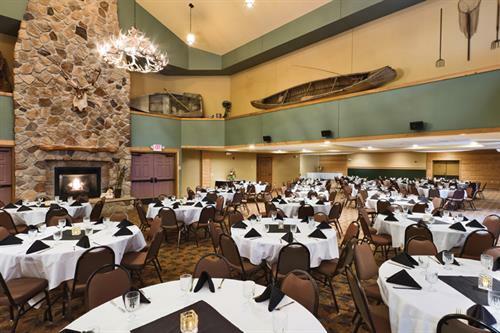 The Sands Ballroom can accommodate up to 300 guests for your next meeting, conference, special event or wedding reception. Our award winning culinary staff will provide delectable food & beverages for your event. Free wireless internet. Outdoor patio and Fire Pit. Baxter's Bar & Grill onsite for dining and lounge- choose from homemade pizza's, burgers, or a full service meal for breakfast, lunch or dinner. 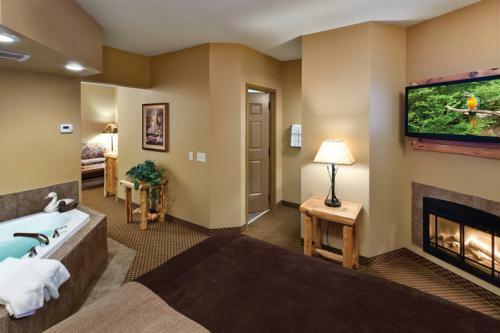 Loft suites and 3 Large suites, including Cinema Suite, Kids Suite, and Kitchen Suite.